The HELIUM Jam Wheels are the result of a long term research project which has produced very High Performance Indoor/Outdoor wheels. 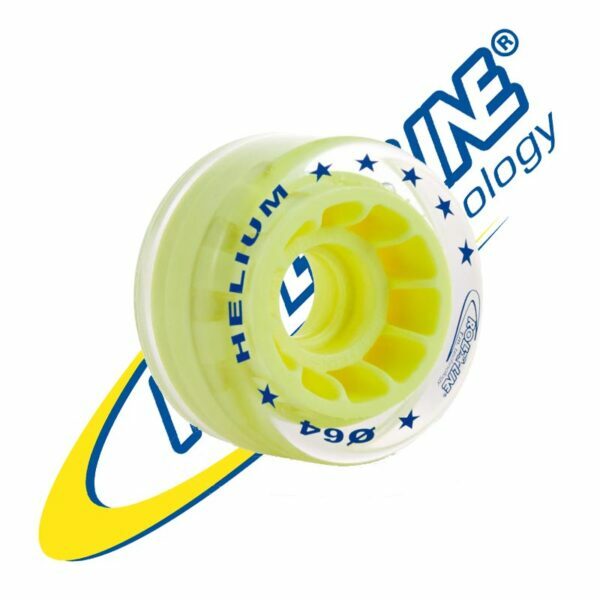 Helium Wheels are specifically designed for Roller Derby and Jam Skating, where Hi-Rebound and Good Roll are needed in combination with incredibly Tight Grip. 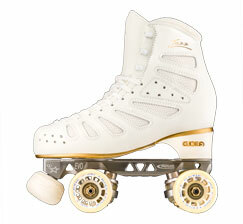 (High Rebound means the wheels can roll over some small obstacles or rocks without stopping cold.) 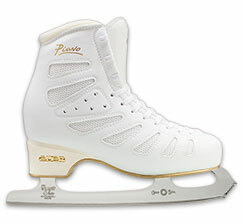 What a smooth ride! Roll-Line has developed this wheel giving it properties that are normally not achievable in the one wheel, Super Tight Grip and Good Roll. 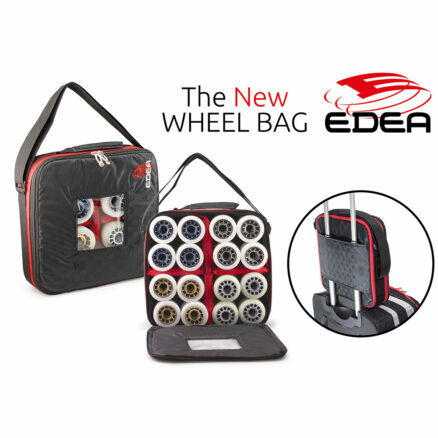 Roll-Line based the design of the wheel on a Large Rigid Hub and a Smaller, Thinner Tread, and produced one of the TIGHTEST, and Good ROLLING Indoor/Outdoor wheels available. 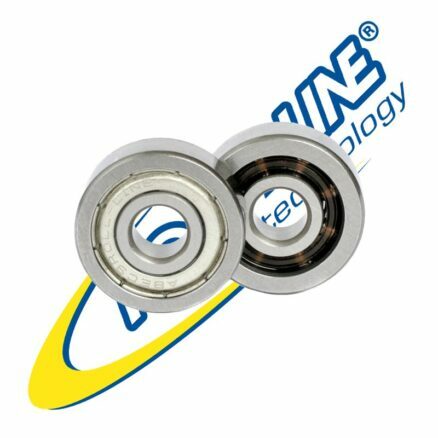 Roll-Line has developed the Hub which is incredibly Strong, very Light, and with extremely Close Tolerances for Roundness, Trueness, and for the Cage where the Bearings and Spacers are mounted. 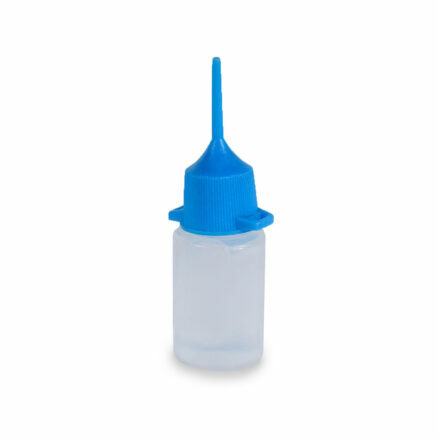 The Roll-Line HELIUM Tread is a Cast Urethane Hi-Rebound Compound Formula, which is just a small amount harder than the HYDROGEN, yet it provides a very Tight Grip, with a minimum of tire compression that is normally associated with a wheel this tight. The lack of tire compression, along with the thinner tread, mounted on the Roll-Line Hub, is what provides the very Good SMOOTH Roll. The Yellow Hubs Glow very strongly under “Black Light”, but not as strong as the Hydrogen. 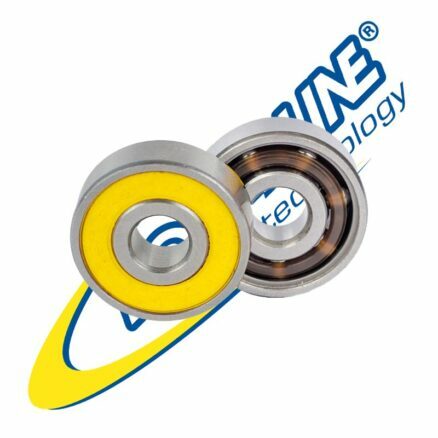 The Roll-Line 7mm SpeedRace & SpeedMax Bearings , are specifically made for very High Level Competitive FreeStyle Roller Skating and are a very Durable Bearing with lots of ROLL.